" 'S fhada on ghabh luchd-àrsaidh úidh ann an Calanais. Bha cuid a'samhlachadh Calanais ri nathain is ugh, na ceithir àirdean, no na comharran ghrian-chrios. Calanais fascinated early antiquarians. 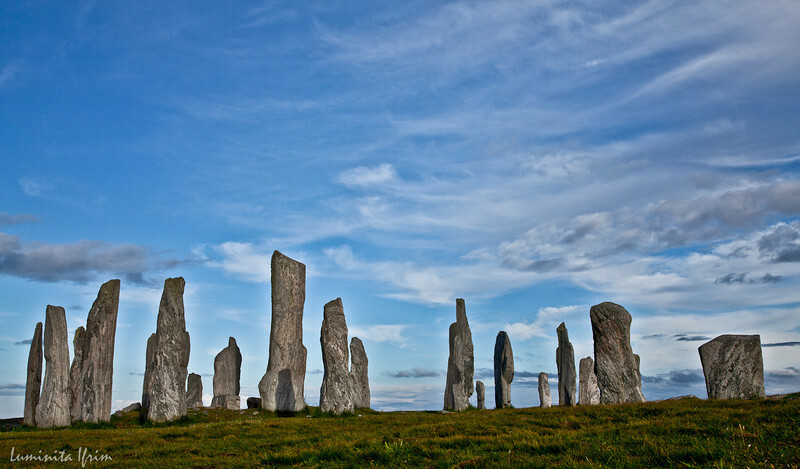 Some saw Calanais as symbolising a serpent and egg, the four winds or the signs of the zodiac. The purpose of the stones remains a mystery. During the Neolithic period (4000-2000BC) many communities across northwest Europe constructed large monuments of stone and earth. Perhaps the building work gave people a common identity and stability, or perhaps they worshipped here. Elsewhere the builders clearly oriented monuments according to astronomical events such as the midwinter sunrise and sunset. It is unclear whether this was the case at Calanais. "